My family loves pumpkin pie. I have never been a really big fan. 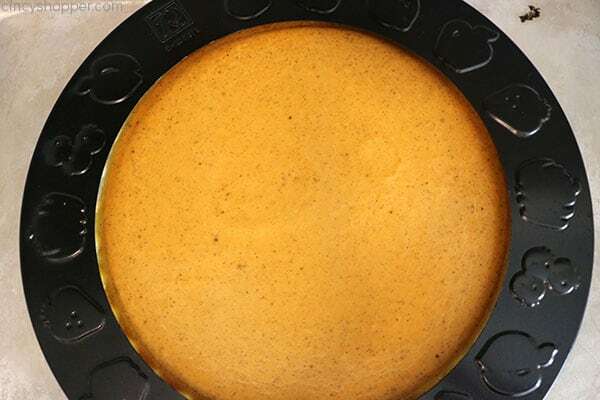 It seems as though pumpkin pie is always quite plain to me. Since I love pumpkin so much, I always felt as though traditional pumpkin pie needed something to just take it to another level. 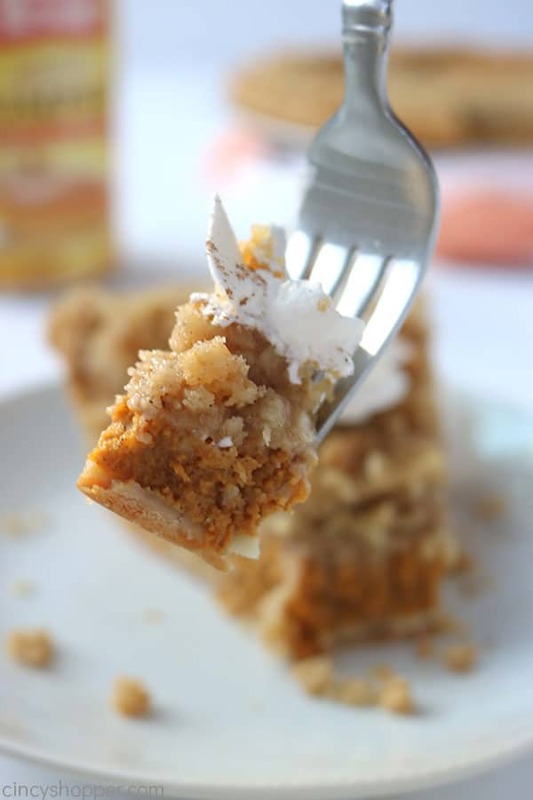 I came across a Streusel topped pumpkin pie over on the Betty Crocker site. 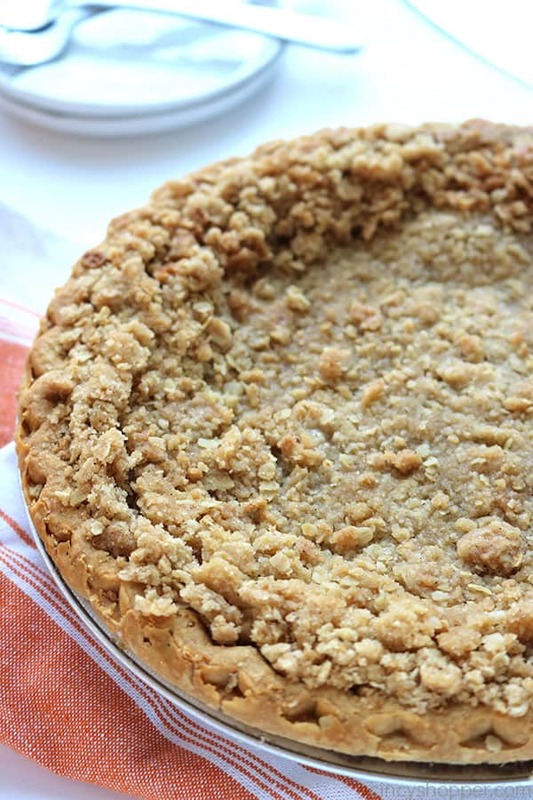 It sounded as though the streusel would be exactly what a plain pie needs to kick it up a notch. 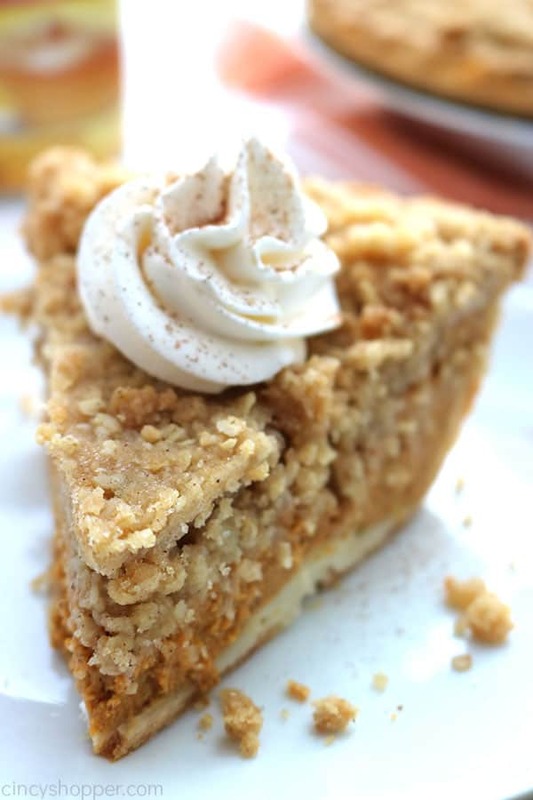 So I used my favorite streusel topping from my Dutch Apple Pie to make the best Streusel Pumpkin Pie. The streusel was exactly what I think a traditional pumpkin pie needed. 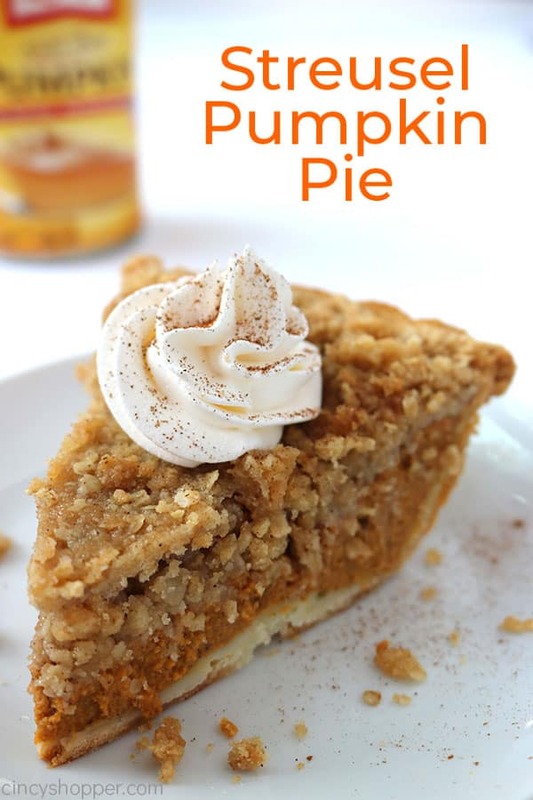 It bakes up perfect with two layers that makes the pie look gorgeous and taste so much better. 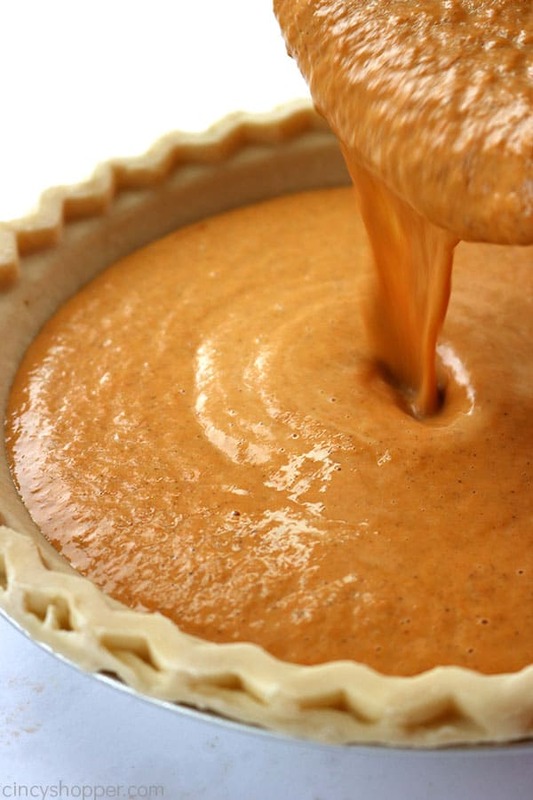 I think this pie is going to be perfect for our Thanksgiving dessert this year. 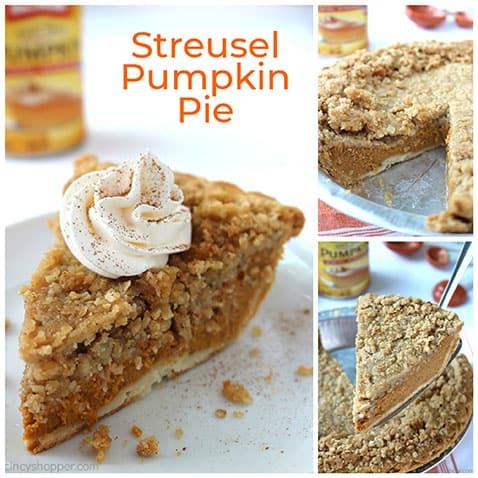 If you are looking to make traditional Thanksgiving pies with a bit of something a bit untraditional or you have family members that are not so crazy about pumpkin pie, you will want to give this Streusel Pumpkin Pie a try. My traditional pumpkin pie loving family really liked this version. They say it is a keeper and would like for me to make it again this week. I think they have a slight pumpkin addiction, ha ha. 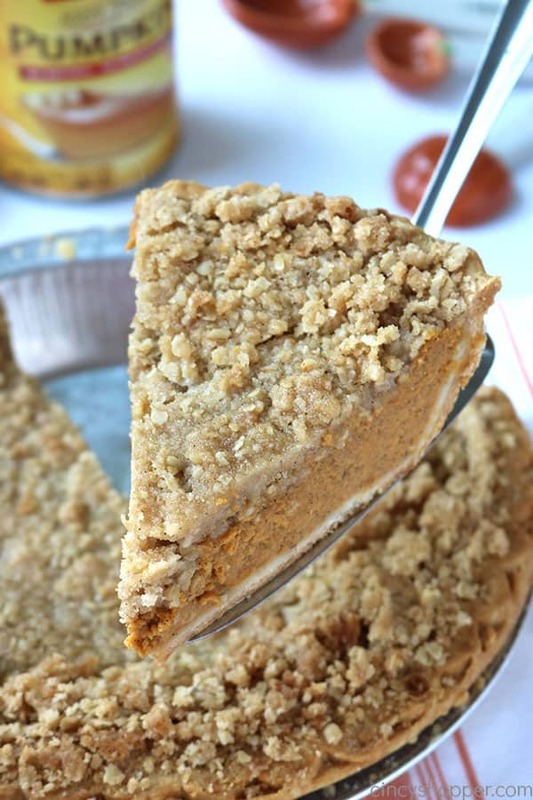 The addition of my streusel oat topping really gives the pumpkin pie so much more flavor and texture. 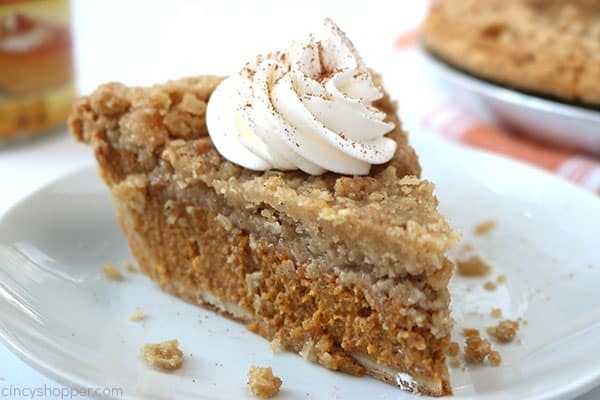 Yes, it is still pumpkin pie but it has an added level of sweetness and the texture pairs so well. I used a store bought crust because I had a couple on hand for making pies. You can also use my Easy 4 Ingredient Homemade Pie Crust Recipe. 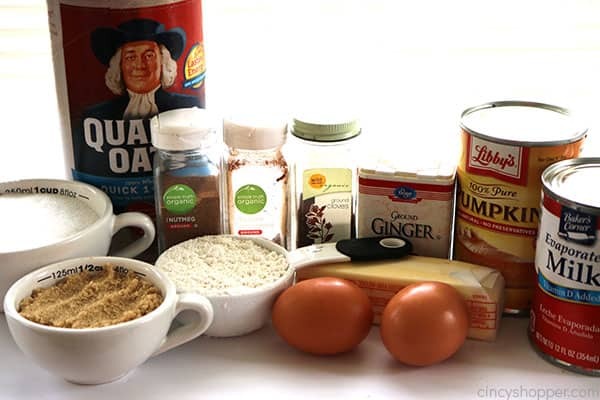 I whipped up the pumpkin pie filling ingredients and then used a few simple pantry ingredients for my Streusel Pumpkin Pie. 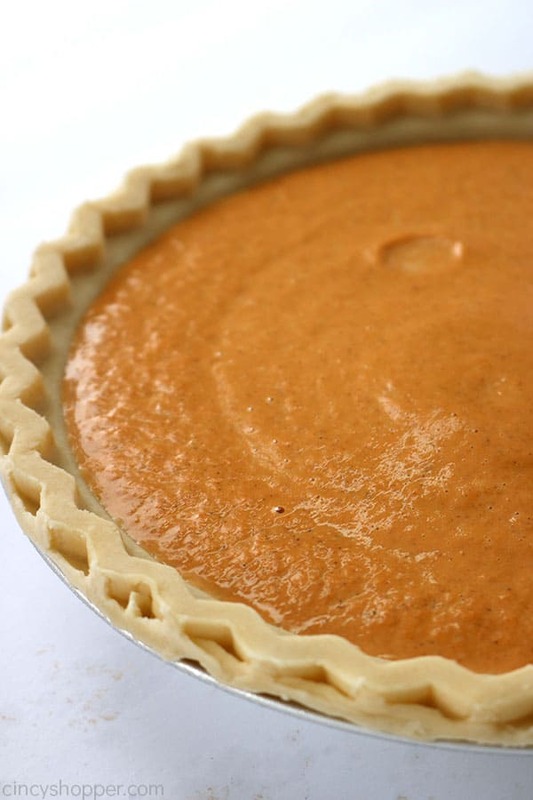 You will find this pie so easy that even a first time pie maker can make this one. 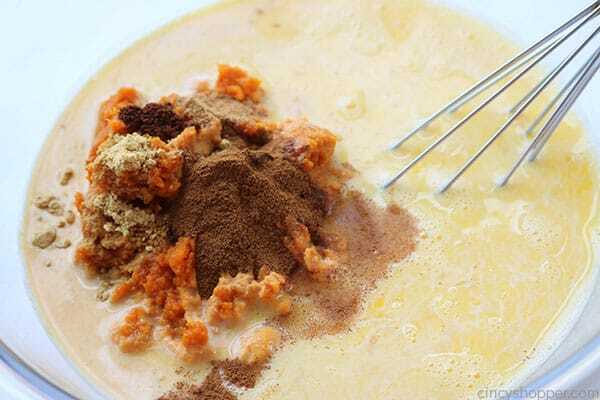 In large bowl, Combine eggs, sugar, pumpkin, evaporated milk and spices. Remove pie from oven and cover edge of crust with a pie crust ring or aluminum foil. Reduce temperature to 350 and continue to bake for 10 minutes. 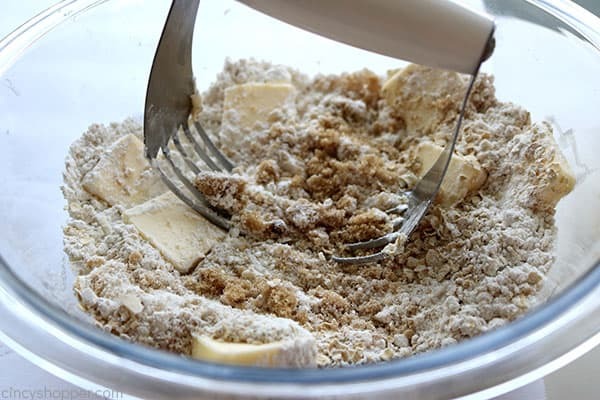 Combine dry streusel ingredients in a large bowl and whisk together. 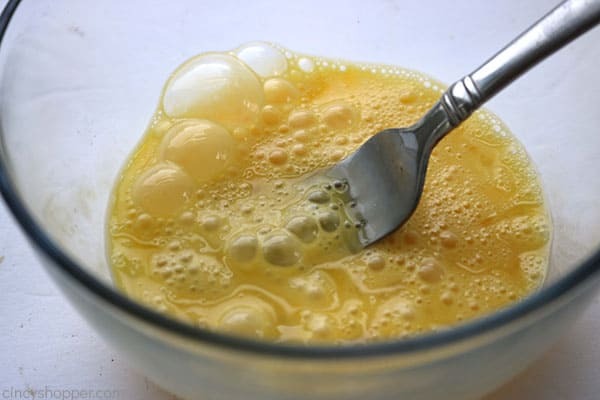 Add cold butter and work with a pastry cutter until dry mixture is fully incorporated. 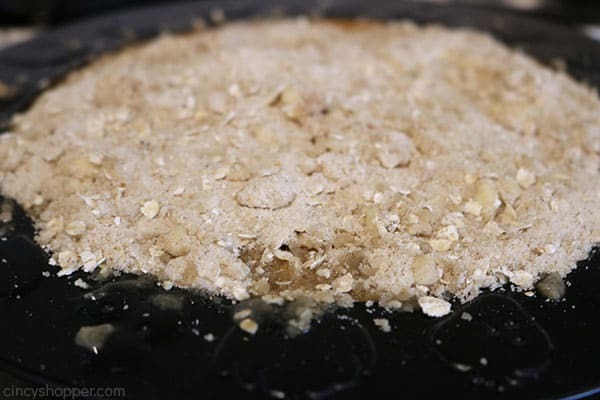 Crumble so pieces are no larger than pea sized. Sprinkle streusel over pie. Bake about 20-25 minutes longer, until streusel is nicely browned and toothpick inserted in center comes out clean. Cool for a least 1 hour. 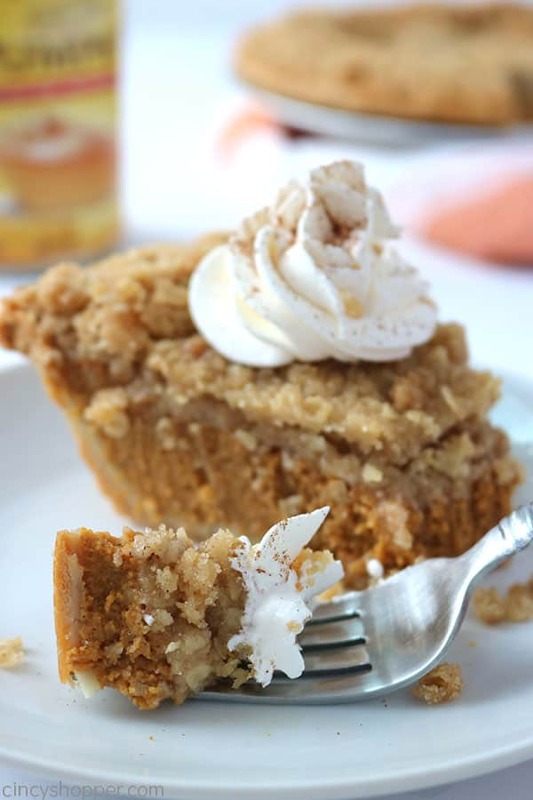 Do you love pumpkin pie for the holidays? Congratulations on the feature at Classy Flamingos. 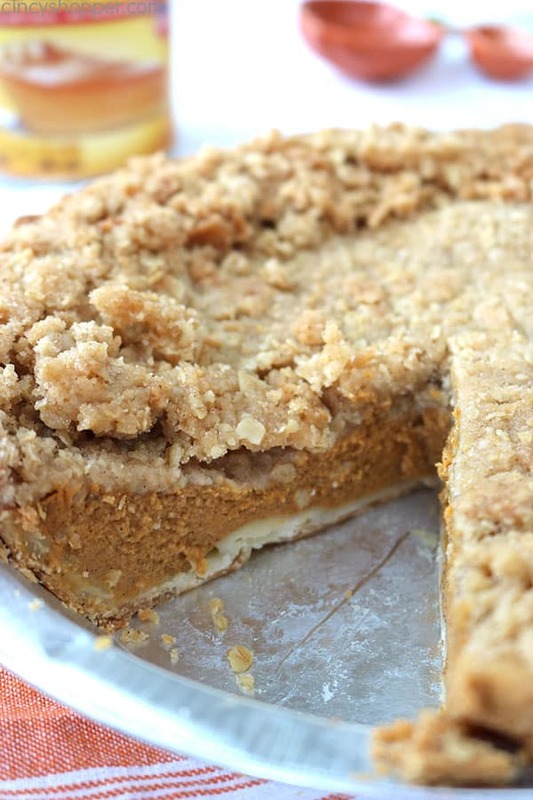 We love pumpkin and streusel, so this pie has got to be a win – win.